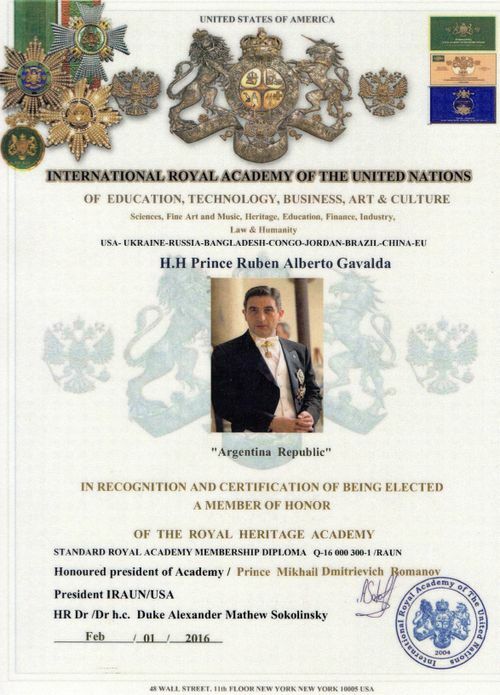 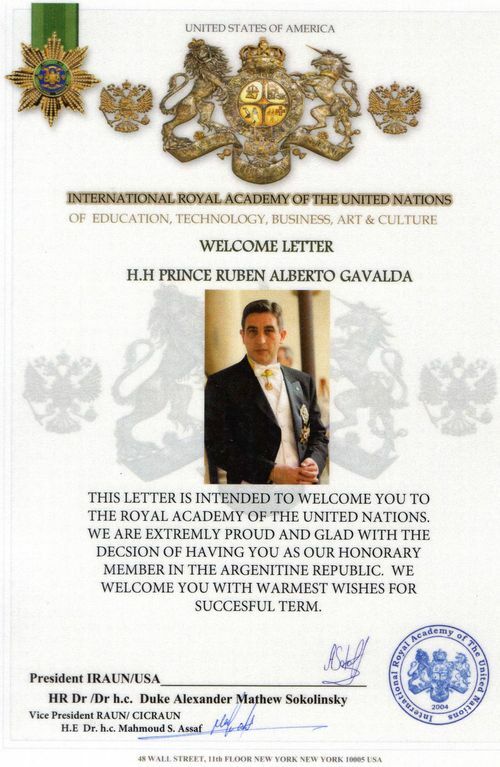 His Royal Highness the Prince of Septimania and count of Gevaudan has been received by the International Royal Academy of the United Nations of Education, Technology, Business, Art & Culture based in New York, USA. 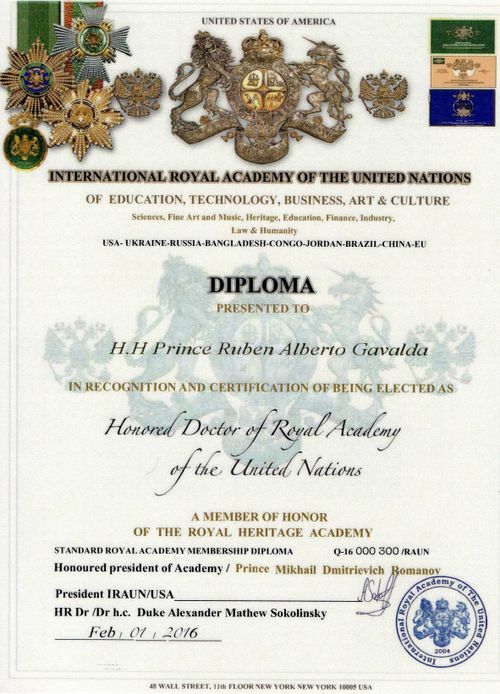 The International Royal Academy of the United Nations has the honorary presidency of Prince Mikhail Dmitrievich Romanov and the Presidency of Duke Alexander Mathew Sokolinsky. 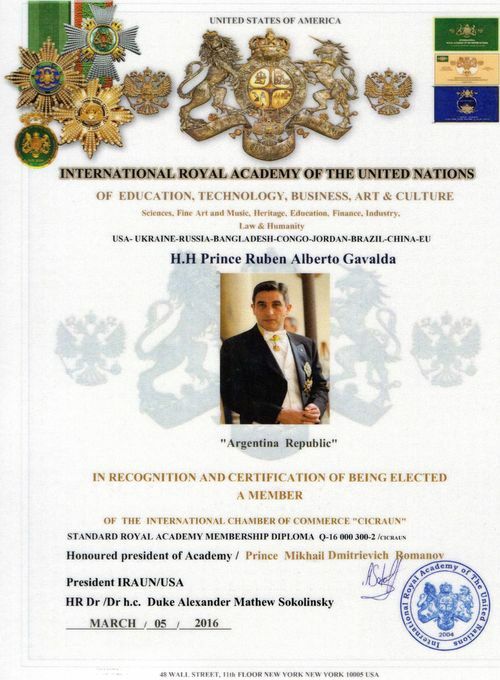 - Member of the International Chamber of Commerce "CICRAUN"